Back in 2011 on Cape Cod, Massachusetts, a humble red chair began a journey across the United States, traveling from one bed and breakfast to another. This summer it made its way to Illinois and several of our own B&B’s. Travel is about collecting wonderful memories as we experience new and exciting places and things. The Red Chair is a symbol of travel and a contemporary way to share the beauty, diversity, and wonderful uniqueness of the United States. 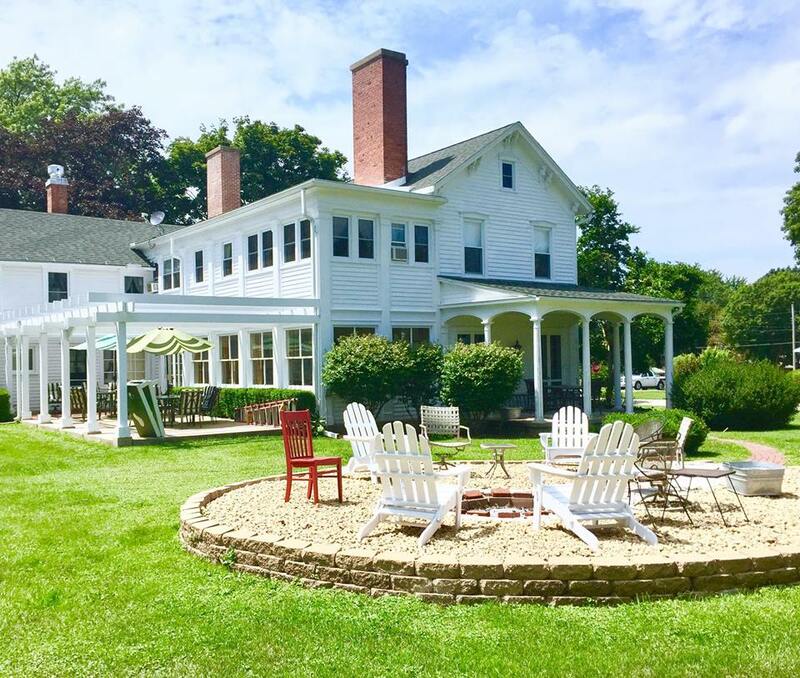 As it visits different places in the country, B&B innkeepers act as its concierge, introducing the chair to what makes their area so special. Through its website, we all can follow along. So far the site includes six years of travels shared with photos, blog posts and other news. And the journey continues. This summer The Red Chair, which is sponsored by bedandbreakfast.com, visited several of the Illinois Bed and Breakfast Association’s delightful B&B’s. These images are from The Red Chair’s visit to Chestnut Street Inn in Sheffield, Illinois. The Red Chair sharing a relaxing evening by the fire pit with other guest chairs. 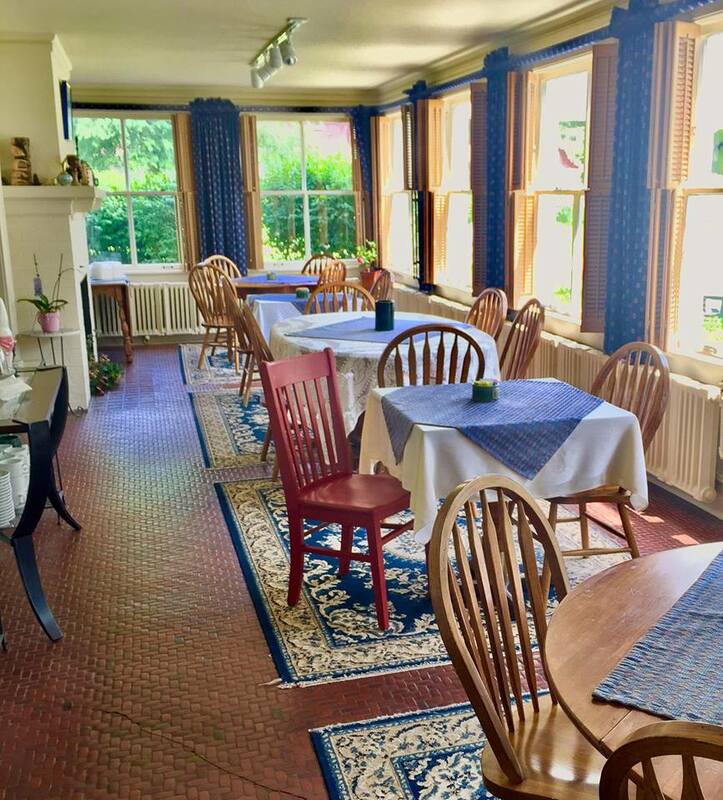 The Red Chair enjoying a delightful breakfast on the Chestnut Street Inn’s sun porch. 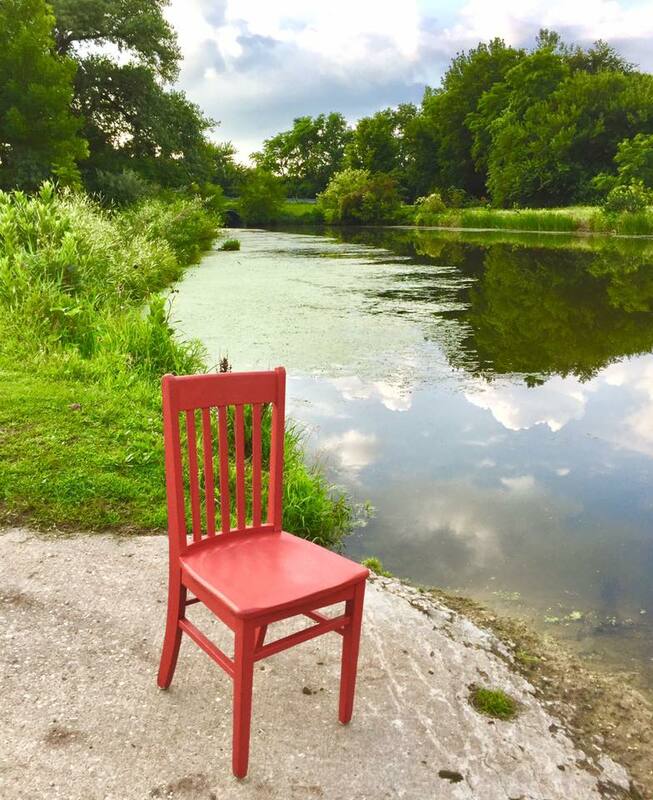 Here The Red Chair is taking in the Hennepin Canal Parkway, where visitors enjoy miles of biking, fishing, and hiking. The Red Chair is relaxing at Hornbaker Gardens, which has the largest collection of day lilies, irises, and hostas east of the Mississippi. Checking out the 7th hole at Hidden Lake Golf Course. 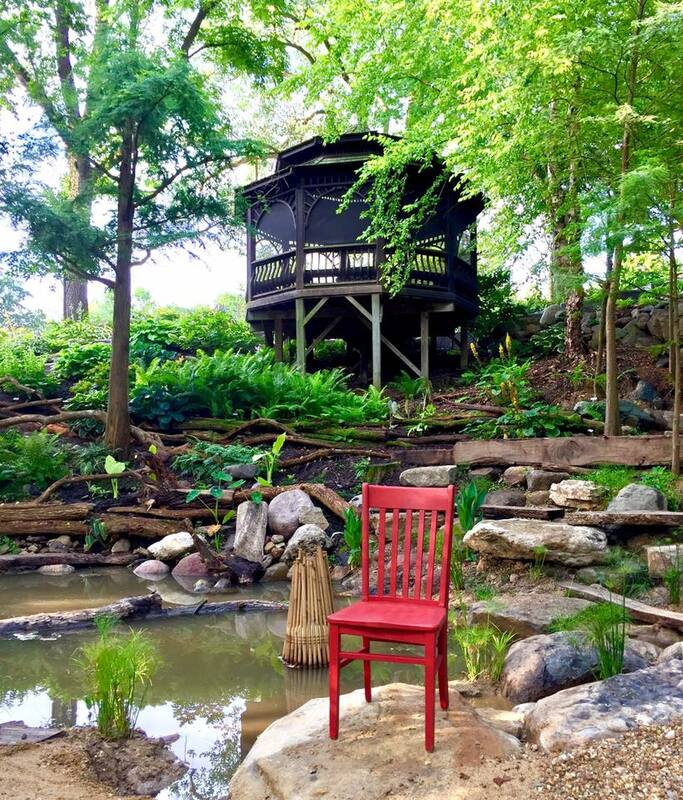 Through its travels, The Red Chair discovered just how incredible Illinois and its many B&B’s are. Now it’s your turn! 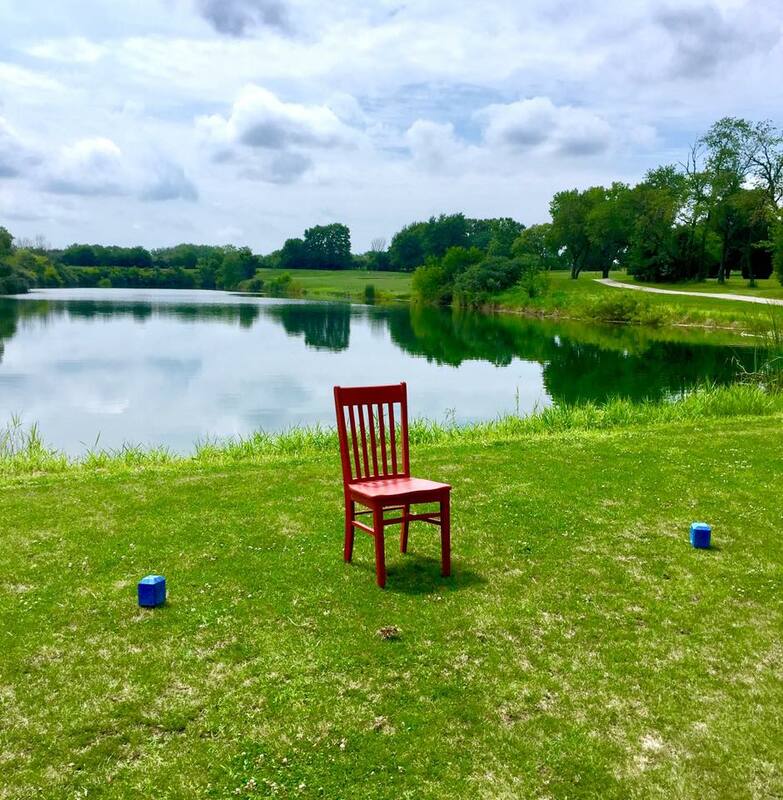 This entry was posted in Illinois Bed and Breakfasts, Local attractions and tagged Illinois Bed & Breakfasts, Illinois Travel, The Red Chair Travels by admin. Bookmark the permalink.